Folayemi (Fo) Wilson is an artist/designer, educator, independent curator and writer. Her art practice crosses interdisciplinary boundaries between the visual arts, sonic media, a regard for the handmade, and a background in design and object making. She earned a MFA in Furniture Design with a concentration in Art History, Theory & Criticism from the Rhode Island School of Design and is an associate professor at Columbia College Chicago. Wilson has been a grant recipient of Creative Time, the Graham Foundation for Advance Studies in the Fine Arts, the National Endowment for the Arts, and the Propeller Fund. 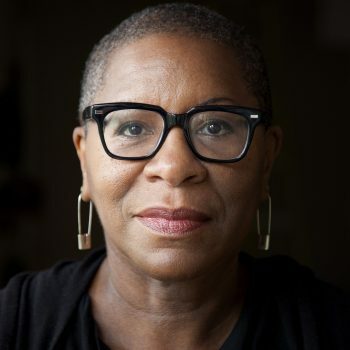 She lectures about art, design, and craft to international audiences, and her writing and reviews have appeared in NKA, Journal of Contemporary African Art, the International Review of African American Art (IRAAA), and Communication Arts. Wilson curated the exhibition The New Materiality: Digital Dialogues at the Boundaries of Contemporary Craft (2010-12), which debuted at the Fuller Craft Museum and traveled to national venues such as the Milwaukee Art Museum. Other curatorial projects include Back Alley Jazz, (2018) a project of blkHaUS studios with Norman Teague in collaboration with the Hyde Park Jazz Festival and the Hyde Park Art Center, and Ekphest: the Festival of Art + Word (2015), co-curated with Krista Franklin. Wilson was the 2013-14 Inaugural Faculty Fellow at the Center for Black Music Research (CBMR) and has been awarded residencies or fellowships at ACRE, Djerassi Resident Program, Kohler Arts/Industry program, Haystack Mountain Center for Craft, the MacDowell Colony, Purchase College/SUNY Purchase, New York among others. Wilson was honored as a 3Arts awardee in 2015 and her work is included in the collection of the Cooper Hewitt National Museum of Design. She is on the board of the American Craft Council.